It lays 65k.m from Arbaminch through chencha-Boroda road with a right turn at Ezo town. 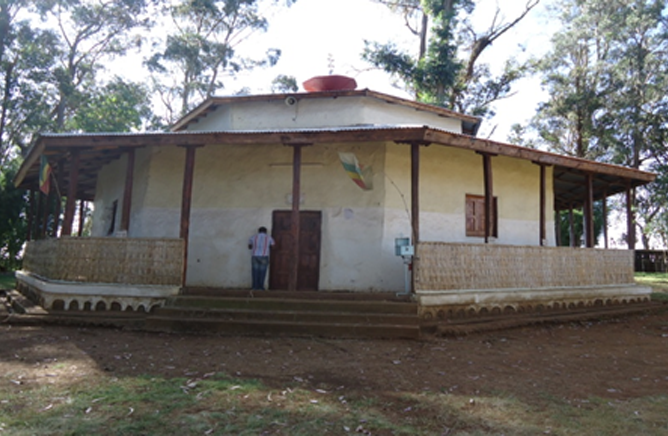 This monastery used to be a place where burnt Offering was during the Old Testament era in Ethiopia. Still today can show the visitor the evidence of the altar, during a king of Abreha & Asebeha (Ezana & Sizana) the old testament sacrifice was replace with the blessing of the holy Communion of Christianity and place on the altar the ark of holy may-from this time on wards this church become known as Biribir mariam.The church was made in to monastery by Libel Dengel in 14th century Who knew the history of the monastery specially kings come to the place in different centuries and donated many vestments, fifes, crosses chairs bells, religious manuscripts, sired utensils, e.t.c .All these property made from gold & silver. However today all this relies had been looted and has not been recovered. Now a day’s visitors con visit different historical relies of the monastery.